I breathed a sigh of relief after watching the first presidential debate between Donald Trump and Hillary Clinton this week. The world is a safer place. There is a chance Hillary can still win the election. The braggadocious (a word he used to say he wasn’t bragging) billionaire didn’t win the debate, but he didn’t lose it either. 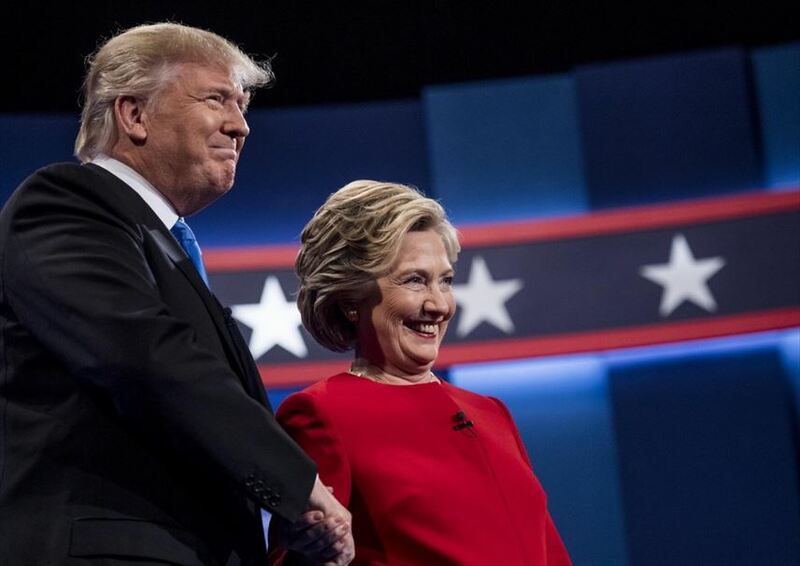 Although most of the post-mortem polls had Secretary Clinton on top of the most watched presidential debate in US history, Donald Trump didn’t cause any reduction in his support base. The would-be president attacked his rival from the start, playing the employment card: “Our jobs are fleeing the country.” He also won the trade battle criticising the Trans-Pacific Partnership (TPP) as one of the worst deals since the North American Free Trade Agreement (NAFTA) signed by President Bill Clinton in 1993. He also made the point Hillary Clinton originally backed the TPP until she realised it wasn’t a vote winner. So Donald trumped Hillary until she brought up his tax returns or lack thereof: “I have no reason to believe that he’s ever going to release his tax returns, because there’s something he’s hiding.” Trump had a good reply: “I will release my tax returns against my lawyer’s wishes when she releases her 33,000 emails that have been deleted.” Clinton apologised: “I’m not going to make any excuses. It was a mistake and I take responsibility for that.” Trump responded: “That was done purposely. That was not a mistake.” But he failed to follow up, and went off on a tangent about his own taxes. I was watching all this at the US Consulate General in Sydney with an audience of about 100 political junkies, including Bruce Hawker, political strategist and former adviser to Kevin Rudd; Jenny Brockie, presenter of SBS’s respected Insight program; Elaine Thompson, political scientist and former associate professor at the University of New South Wales; and Greg Holland, Labor candidate for the seat of Miranda in 2015, and his wife Ann, to name a few. The host of the program was the US Consulate’s new public affairs officer, Selim Ariturk, in his second day in Sydney with the post-mortem led by Dan Twining, senior fellow for Asia at the German Marshall Fund, a Washington think tank, and a former adviser to Senator John McCain. In another funny but fiery moment, following more attacks on her by Trump, Hillary Clinton sighed: “I have a feeling by the end of this evening I’m going to be blamed for everything that’s ever happened.” Trump quickly replied: “Why not?” Clinton smiled and said: “Why not? Yeah. Why not? Just join the debate by saying more crazy things. Now, let me say this . . .“ The Consulate audience laughed, but before she could finish, Trump made one of his many interjections: “There’s nothing crazy about not letting our companies bring their money back into the country.” The man who defeated all 16 Republican candidates with quips and interjections was getting angry. It was to be his downfall. In the post-mortem with Dan Twining, most of the audience thought Hillary Clinton won the debate: Trump got angrier and angrier, interrupted too much, drank six glasses of water and sniffed a lot. The latter complaint was minor, but noticeable. I just thought it was a glitch in the broadcast. I tended to agree with a participant who said Donald Trump pushed the right buttons, as the anti-politician protesters did in Britain with Brexit. I suggested to Twining that Trump hadn’t lost any supporters from his base while Clinton hadn’t gained many. He disagreed, saying that he felt Hillary would have picked up a few and maintained a 40 per cent base, enough to win the election. But there are 40 days to go until election day with two more debates and a possible October surprise. It really is too close to call. There you go, as Ronald Reagan used to say. Now it’s going to be another sleepless night while I dream of Donald Trump bombing North Korea, declaring war on China and building a barrier on the border with Mexico, stationed by heavily armed guards, reminding us all of the Berlin Wall. Hey Tom – Great analysis but writing about it doesn’t really cover it. The election is so off the wall that words flail and stutter in their attempt to convey a reasoned determination on the outcome. As one wag put it to me, “it’s not so much an election as a national IQ test for the American public.” There’s a whiff of burnt cinder in the air and I sense the faint strain of a fiddle. The concept of Trump as president is difficult to process. Switch dance cards and the option is not much better. Hillary Clinton is a deeply flawed politician but her kind of flaws can be checked and balanced within the system. The American people elected Richard Nixon, knowing full well he was a bent unit and hell, they even put him back in again. The world survived. This time round? Scary. Thanks your kind and eloquent words, Mac. You’ve nailed it. I am scared, but I’m hoping Hillary can continue to impress and Donald can continue to falter. The world survived Nixon, but I’m not sure it can survive Trump. Fingers crossed!